What Causes the Cooling Effect Inside a Refrigerator? Why Do Air Conditioners Take in Outside Air? Air conditioners actually don't take in outside air, but part of the air conditioner has to be located outside of the house. Air conditioners are heat pumps as are refrigerators and heaters. They don't release cold. Instead, they cool the air in the house by removing the heat from the air and releasing it into the air or ground outside. 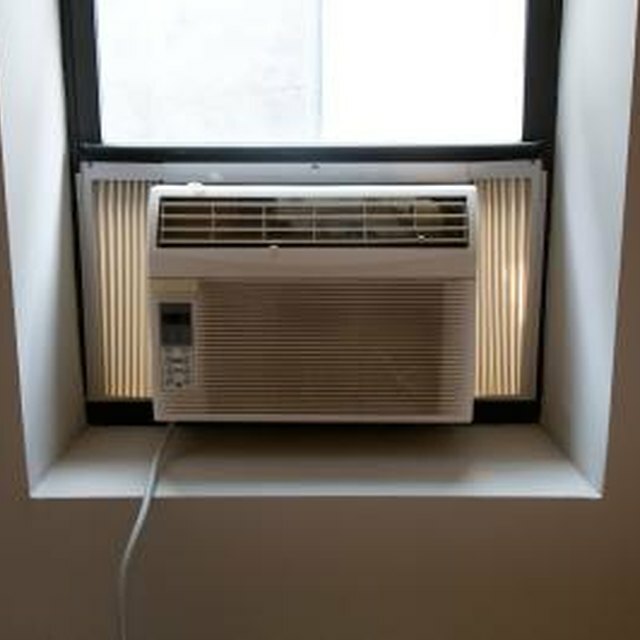 Air conditioners actually don't take in outside air, but part of the air conditioner has to be located outside of the house. Air conditioners are heat pumps as are refrigerators and heaters. They don't release cold. Instead, they cool the air in the house by removing the heat from the air and releasing it into the air or ground outside. An air conditioner uses a pump called the compressor to cycle liquid refrigerant through a closed metal loop. First, the refrigerant is pumped into the condenser, the part of the air conditioner outside the house. In the condenser, the coolant is compressed under tremendous pressure. Compressing a liquid makes it heat up. The compressor is a long metal tube. As the radiant moves through it, the heat gradually leaks out into the air until the refrigerant is relatively cool. The Refrigerant then flows back into the house, where it passes through a narrow valve into the evaporator. The evaporator is kept at low pressure and when the refrigerant flows into it, it quickly expands. When a fluid expands quickly, it becomes very cold. As the frigid refrigerant flows through the evaporator, a fan blows air on it. This air comes from the return ducts in central air conditioning systems, and from in the room in window systems. As the air blows on the cold evaporator, its heat is sucked into the fluid, cooling off the air. The air is then blown out into the house, and the refrigerant is pumped back through into the condenser, starting the cycle again. Why Is My Outside Air Conditioner Leaking Water? How Does a Gas Freezer Work?